The 2019 Honda Accord Hybrid could be a perfect match for you if features like efficiency, plenty of leg room, and best-in-class trunk space are important to you. 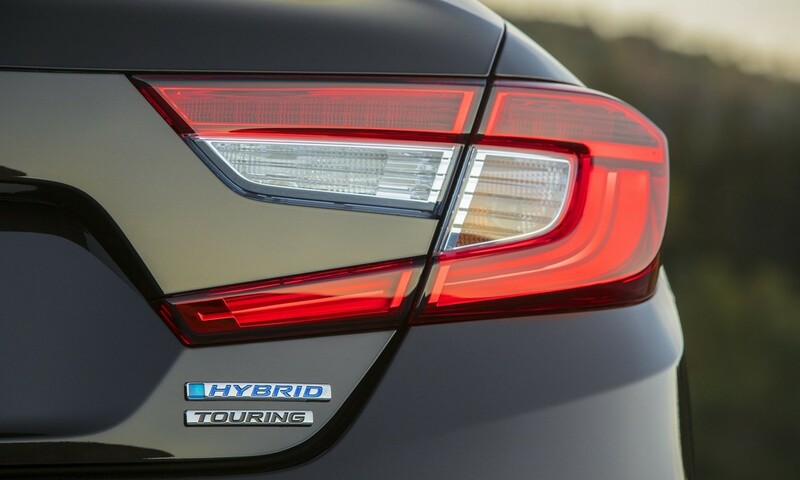 This year, the Accord Hybrid offers plush convenience and a starting MSRP of just $25,3201. The driver who seeks a sleek, comfortable ride with fuel economy at an attractive price. The Accord Hybrid is flush with features like a user-friendly infotainment interface and safety excellence bundled with a sleek exterior and nimble handling. 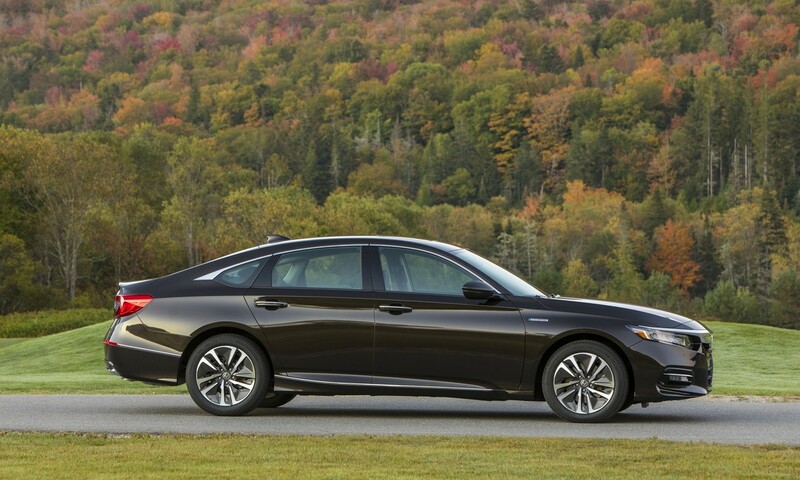 Available in seven exterior paint colors like Radiant Red, Obsidian Blue, and Platinum White, the Accord Hybrid strikes an elegant profile on the road. Whether you need to impress clients or transport your family in style, the Accord Hybrid is sure to exceed your expectations. 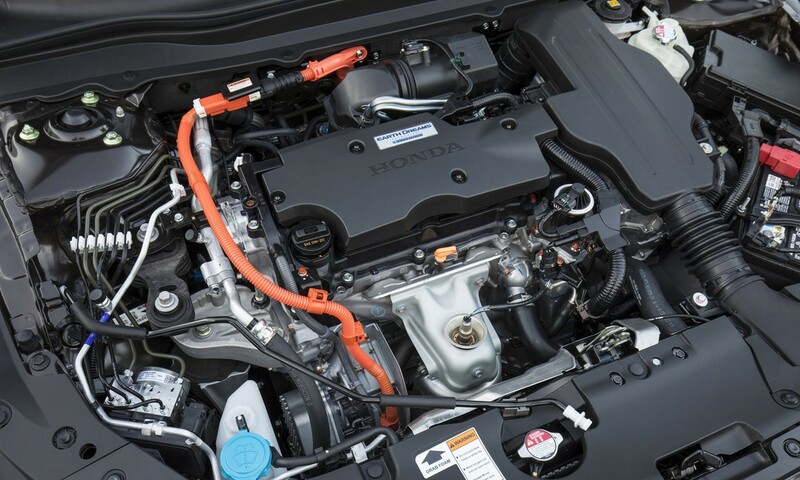 The Accord Hybrid offers 212 total system horsepower with a 2.0-liter, 3rd generation, two-motor hybrid powertrain. That combination gives the driver plenty of zip for on-ramp acceleration and passing, fortified by Honda’s Electronic Continuously Variable Transmission (E-CVT) with Sport Mode. Deceleration paddle selectors provide a feel similar to downshifting a conventional car in manual transmission, and down-shifting even increases the regenerative braking effect. Winner of a "2019 Wards 10 Best Engines" award by WardsAuto2, the 2019 Accord Hybrid is capable of achieving an estimated 48 mpg in the city or on the highway3, giving you eniviable fuel economy and budgeting every time you drive it. The Honda Sensing suite of safety and driver-assistive features is standard on the Accord Hybrid, helping you avoid a collision or mitigate a collision’s severity. That can mean the difference between life and death, and Honda’s commitment to safety is apparent in its approach to technology and research. Honda Sensing™ includes a Road Departure Mitigation System (RDM), Lane Keeping Assist System (LKAS), Adaptive Cruise Control (ACC), and Collision Mitigation System™—all of which work together to recognize not only the vehicle's surroundings but also the intentions of the driver and conditions of the vehicle, and it gently nudges you to take corrective action through the braking system and steering wheel. The Accord was overhauled from the ground up last year, and drivers all over the country have been raving about the comfort and performance updates. Now, the lithium-ion battery pack is stowed solely underneath the rear seat instead of taking up valuable cargo space. That means no matter which Accord model you choose, you’ll get the same 17 cubic feet of space and 60/40 split-folding seatbacks. Also standard is the dual-zone automatic climate-control system, which keeps the temperature ideal for both you and your passengers. Aside from the basic creature comforts, the 2019 Accord Hybrid offers a plethora of custom add-ons, including several trunk-organizing options like trunk trays, cargo nets and cargo hooks. Puddle lights, grille enhancements, and spoilers can be installed to give your Accord Hybrid a unique look unlike any other on the road. Honda has paid attention to customer feedback over the years, returning to an easy-to-use touchscreen paired with a physical volume knob and tuning knob. 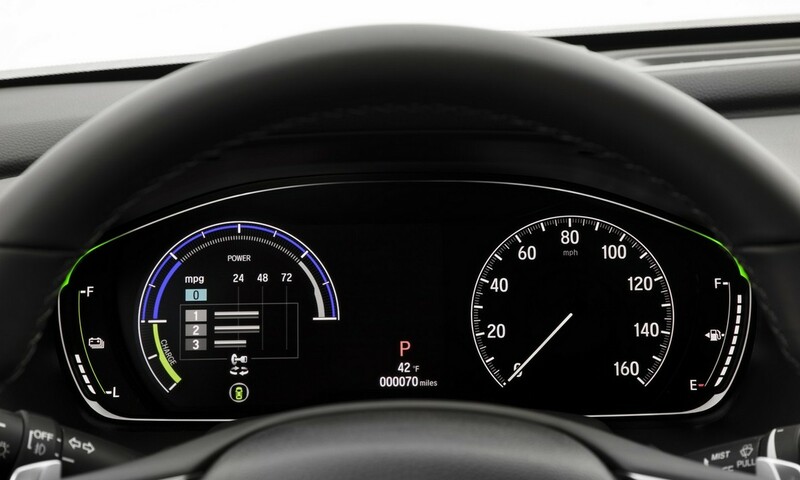 As a driver, it’s important to be able to change the radio station or switch to map view with very little distraction from the road, and the Accord Hybrid’s basic functionality is simple and intuitive. In addition, Apple CarPlay™ and Android Auto™ are standard, offering hands-free access to a multitude of familiar features, like turn-by-turn directions and music streaming. The 160-watt audio system with four speakers enhances the drive with excellent sound quality. If you’re thinking a more compact vehicle could be better for you, take a look at the Honda Fit, which offers big things in a small package. Or if you're on the opposite end of the spectrum in terms of cargo and passenger space needs, take a test drive in the Ridgeline, a full-size truck with luxurious features and hauling capabilities. For more information about the efficient and stylish 2019 Honda Accord Hybrid, contact Mahwah Honda online or visit us at 345 Route 17, Mahwah, NJ 07430. 1 MSRP excluding tax, license, registration, $920.00 destination charge and options. Dealers set own prices. 2 For more information, please visit WardsAuto. 3 48 city/48 highway/48 combined mpg rating. Based on 2019 EPA mileage ratings. Use for comparison purposes only. Your mileage will vary depending on driving conditions, how you drive and maintain your vehicle, battery-pack age/condition and other factors. 4 Model tested with standard airbags (SAB). Government 5-star safety ratings are part of the National Highway Traffic Safety Adminstration (NHTSA) New-Car Assessment Program www.safercar.gov. Stay connected to our dealership! Just fill out the comments section below and submit it to us! Use the form below to contact us with any questions or comments.